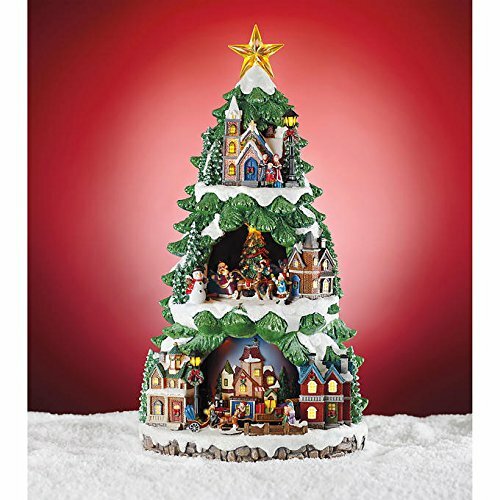 Animated Christmas Tree A 20'' LED Lighted Music Box that will be a hit with this holiday season. Be the first to own this beautiful decoration. Full of holiday joys and memories, this marvelously detailed LED Animated Christmas Tree featuring lights and music is the perfect touch to complete any home's holiday décor. Three levels of festive, wintery scenes, two of which including revolving activity captures the imagination of all who see this tree. Volume control allows for varied levels of classic holiday music to accompany the visual holiday spirit on this piece. If you have any questions about this product by Sesonal Holiday, contact us by completing and submitting the form below. If you are looking for a specif part number, please include it with your message.